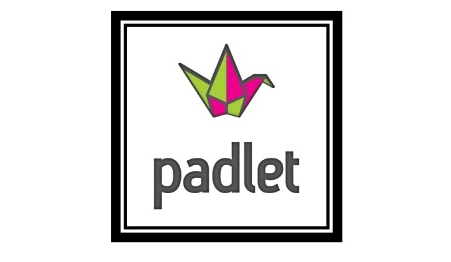 I have been an avid Padlet user for the past year. For those of you who do not know what a Padlet is, it is a basically an online wall where users can attach notes, messages, photos and videos by just accessing the url. The great thing is, people adding to the Padlet do not need to sign up, just have the URL, making it perfect for use in the classroom. It has become my new working wall. Getting started is simple. Create a free account and make a Padlet! Choose a background, a title and the layout of your padlet and away you go. This great free resource has so many fantastic uses. I have used it for collecting vocabulary and ideas, children asking questions, a baseline for ideas before a piece of work or unit, and my favourite: using it as a plenary to show the learning. The first time the children used it, they were in just as much awe as I was. My new year 3 class used it on their second day with me expertly, despite having very limited experience using the iPad. Seeing their messages appear instantly on screen blew their mind! After an initial play getting used to it and having conversations with each other, we were ready to start. To make it easily accessible for the children I used the share button on the right hand menu (see below) and copied the QR code to print onto labels to stick in books. The children then easily used QRafter to scan and visit the URL and we were all ready to go, no typing of long URL’s was needed (although you can customise your URL in the settings, but QR is much faster). I then posed the question in a maths investigation “What does = mean?”. The children all posted their thoughts onto my padlet. I was immediately given the children’s ideas all at once. This can be difficult to see and read at times, but you can toggle the layout to grid (as shown) so all can be seen. The great thing was that I could see that some children already knew the answer, which allowed my to think on my feet and adapt the challenge to push them and keep them engaged. The class set off on their investigation and challenges, focussing on reasoning to explain their findings. At the end of the lesson, I asked the children to post what = actually meant on a new padlet (we were not using the iPads to record our work, but I do regret not allowing the children to photograph or video their investigations and upload them, which is something I will do next time). The answer was all the same, = means the same as. This showed me evidence of learning in the space of 50 minutes. I took a screen capture, printed these out and stuck them into books to show their learning, however I could upload this onto Seesaw, which I will blog about at a later date. What I love about padlet is that it gives every child a voice. You can gauge all learning without wasting time directing questions and taking feedback one at a time, pinpointing specific children or allowing some children to “opt out”. Best of all its free, easy to use and you have an online record. Try it out. The possibilities are endless.